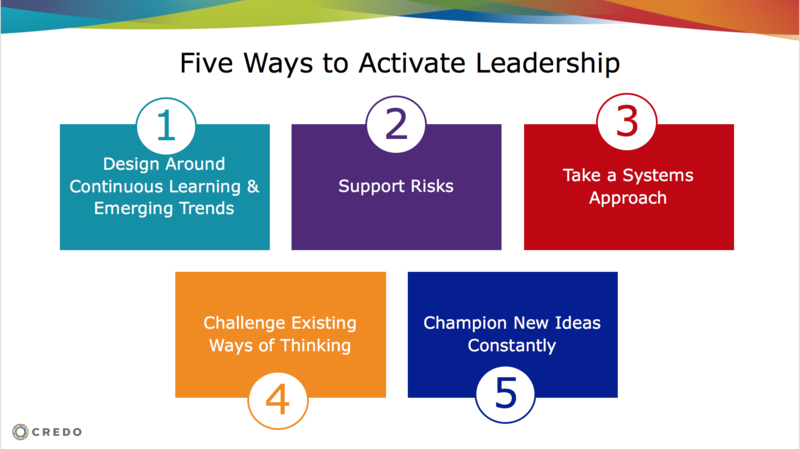 Download, save & print this chart to remind yourself how to activate leadership! Credo is a comprehensive higher education consulting firm that specializes in working with independent colleges and universities to move them forward on the continuum from surviving to thriving. We count among our partner schools more than 300 institutions, and know that with smart, data-driven strategies designed to lift up mission and embrace distinctions in the marketplace, independent higher education can grow and thrive through any challenge.